Houseplants are creatively displayed at Cornell Farms in Portland, Oregon. 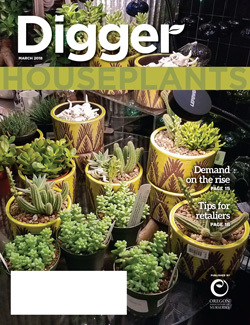 Growers and retailers are tapping into a renewed interest in indoor houseplants. For them, deciding what products will meet customer demands takes a bit of study. A houseplant awakening: Many businesses are making smart, interesting choices for choosing houseplants to sell. Plus, ten helpful tips for business owners who wish to target customers looking to buy and maintain their own indoor houseplant haven. Heroes and villains: Research identifies harmful and beneficial microbes in nursery soil.